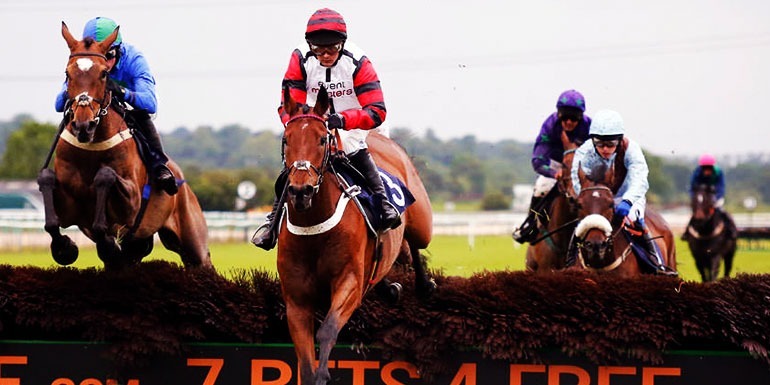 With the National Hunt Season underway and the season showcase opening fixture at Cheltenham almost upon us, there is certainly much for horse racing enthusiasts to look forward to in the coming months. Eventmasters, as a leading supplier of high-quality Horse Racing Hospitality for over 30 years, is thrilled to feature once again at some of the country’s famous racing events. Our strong affiliations with the sport and some of the country’s most distinguished race courses have allowed us to deliver a service and experience unrivalled by our competitors, and we are looking forward to exceeding expectations once again as the 2017/18 season unfolds. Adding to our impressive range of events this year, Eventmasters are proud to unveil an exciting new venture with Aintree Racecourse that sees a brand-new hospitality facility on offer for the prestigious Grand National Festival in April 2018. Our luxuriant restaurant facility – which shares the Silks brand name as seen at the renowned Cheltenham Festival – will certainly offer guests an experience worth savouring. Overlooking the iconic starting line with sights stretching across Melling Road of the Liverpool track, visitors will be treated to panoramic track views as they witness the thrilling action unfold. This, coupled with exquisite fine dining, delicious drinks and the finest personal hospitality service, will give visitors the chance to enjoy a day at the races like never before. What better way to impress your valued clientele? Our famed ‘Silks’ brand also features prominently at the illustrious Cheltenham Festival, with the Silks@Frontrunners facility scheduled to make its triumphant return in March 2018. Located directly opposite to the track’s final hurdle, the sumptuous hospitality suite is guaranteed to offer the finest viewing position for guests to enjoy from its very own private balcony facility. With an alluring Champagne reception, four course luncheon and complimentary bar also included, this fabulous corporate entertainment package is sure to leave your bedazzled clients with a superb memory to cherish. Our fabulous success is confined not only to the hospitality sector however. There also appears to be exciting times ahead for the Eventmasters’ Racing team, with the high flying Monbeg Legend, purchased in May, beginning to fulfil his potential with several key victories to date. Monbeg Legend opened his account with a tremendous 27 lengths victory at Southwell and has since repeated that fine performance with two splendid victories at Worcester, winning by 1 ¼ and ¾ lengths respectively. The team’s leading horse will hopefully feature in a number of high profile hurdle races this year before embarking on his novice chasing career next season. If the form book is anything to go by, Monberg Legend’s 2015 point to point victory in Ireland looks very promising, finishing ahead of none other than last year’s PertempsNetwork Final runner up Barney Dwan – could Monbeg Legend feature at the 2018 Cheltenham National Hunt Festival also? Stabled at Seven Barrows Lambourn with leading National Hunt trainer Nicky Henderson, the horse is certainly in the right hands. The impressive Bay Gelding has sparked optimism amongst the Eventmasters’ team and the Champion trainer could not have been more enthusiastic about the charge at his recent owner’s lunch. With Eventmasters, you are guaranteed to enjoy some of the finest Horse Racing Hospitality experiences that the UK has to offer. It can only be imagined the impression that will be left with your clients, family or friends. While the world’s finest horses and jockeys fight to win the most revered sporting accolades, you’re ensured of slam dunking the experience of a lifetime into the memory baskets of your bedazzled clients. Make Grand National 2019 unforgettable with our VIP tickets and luxurious hospitality packages. With hospitality available on all three days of the event there will be something guaranteed to excite you and your guests.